The fight is still open for all the classifications as Agostini, Cheever and Maisano will challenge each other at Santerno's track. A new entry at Ghinzani and all set for a spectacular racing weekend. 29/08/2012 - The Formula 3 engines are still warm after the Red Bull Ring's exit earlier this month and nothing is still written in a championship that will most likely be decided at the last lap of the last race of the season. The fight for the Italian Formula 3 European Series, Italian Formula 3 Series and rookies title will resume from the Enzo e Dino Ferrari circuit of Imola after less than a month of break. Eddie Cheever, Brandon Maisano and Riccardo Agostini are the three drivers that have been quickest so far and are within the top three positions of both classifications where they are split by just 16 points. 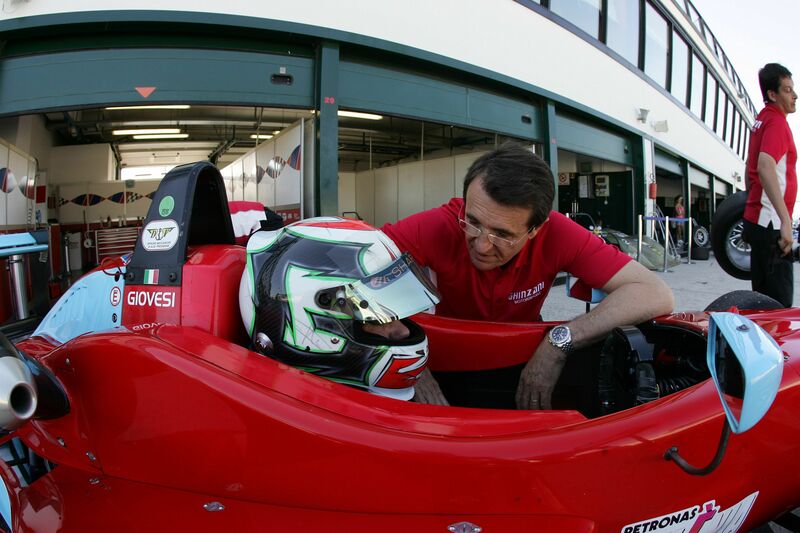 In the European Series the Roman driver of Prema leads Maisano and Agostini, while in the Italian Championship the French pupil of Ferrari Driver Academy leads his team mate and JD Motorsport's driver. In Imola a novelty will come from Ghinzani that will line up the Polish driver Jakub Dalewski on the side of the alrady confirmed Kevin Giovesi. The new entry Dalewski comes from the ADAC Formel Master where he obtained a win ad four podiums with team Lotus. The Polish will replace in this occasion Robert Visoiu as the latter will be racing in Spa Francorchamps' round of the GP3 Series. Another important comeback will be that of Roman De Beer on the Mygale belonging to team Victoria World. The South African, after skipping the round of Red Bull Ring should now finish the championship with the team led by Dario Caso. At BVM all is to be decided yet regarding the second car, on the side of Mario Marasca who led a good championship so far despite some mistakes, as Patric Niederhauser will be racing in Spa with team Jenzer and his car does not have a driver yet. At Prema, on the side of the two classification leaders Maisano and Cheever, the Brazilian Henrique Martins will defend the teams color and the ups and downs of the season kept him in the fourth place of the European Series and fifth of the Italian one. Two cars will be lined up by Euronova: Sergey Sirotkin, will keep fighting for the rookies title while Yoshitaka Kuroda will be in the other one even if he is not shining in this season. JD Motorsport will line up Riccardo Agostini and Nicholas Latifi, as the latter has constantly been improving also at Red Bull Ring where he showed good potential in free practice but was slowed down by bad luck and inexperience during the race. Imola's weekend will start tomorrow, 30 August, with 4 hours of official tests. On Friday, free practice will be betweem 9.00 and 9.30 (GMT+2), while race one and two's pole position will be decided at 17.40. The first race will start at 14.55 on Saturday, live coverage on Rai Sport 2 and web streaming at www.acisportitalia.it/F3. Race two, live on Rai Sport 2 and sportube.tv, will begin on Sunday 2 September at 10.00 while the last race of the weekend will have green flags at 18.00 and will be shown recored on Rai Sport 2 at 18.55.